Sci-Fi Film 'Mute' Release Date Set for February on Netflix | Nerd Much? Duncan Jones' project finally sees the light of day. 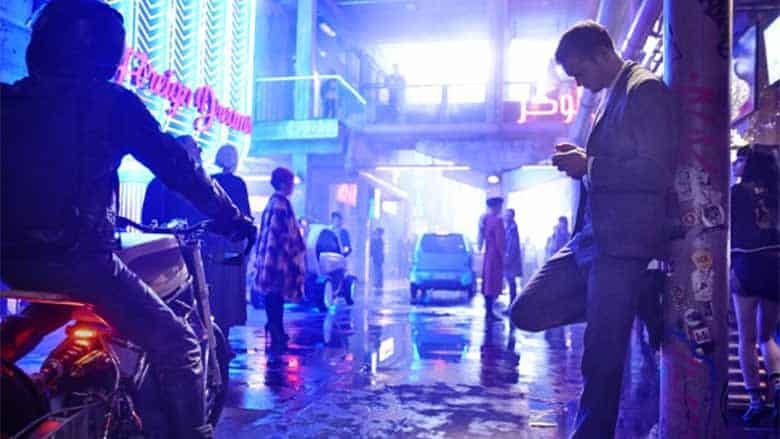 If you’ve been following the story of Duncan Jones’ Mute (2018), the director’s sci-fi project that has been in production since as far back as 2003, you’ll be happy to learn that the long-awaited film finally has a release date, and it’s coming to Netflix soon. Jones announced the Mute release date on his official Twitter, and we now know that the movie will release on Netflix on February 23, 2018. 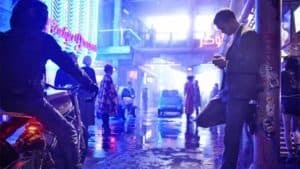 Mute is a future-set neo Noir that will follow Alexander Skarsgard (True Blood, The Legend of Tarzan) as a mute bartender named Duck Teddington who lost his ability to speak from a childhood accident who is now a member of the city’s neon underworld. When his girlfriend, Naadirah (who is played by Seyneb Saleh), disappears without a trace, he’ll start his investigation. The film co-stars Paul Rudd (Ant-Man) and Justin Theroux (The Leftovers, The Last Jedi) as a pair of surgeons who appear to be entangled in the mute bartender’s girlfriends’ disappearance, as they both keep popping up during his investigation. Three years ago, we started this site, and one of our first posts was a mega list of all of the upcoming new sci-fi movies on the horizon. Mute has been on that list since we began, and we’ve been looking forward to it. So, we’ll be happy to see it finally release. Judging by the screenshots we’ve seen so far, it has a sort of cyberpunk sci-fi setting, complete with all of the neon lights you can imagine. In fact, it looks like something straight out of Cyberpunk 2077. As it stands right now, there’s still not a single Mute trailer available for our viewing pleasure, but we’ll keep you posted on when that lands. For more on the latest sci-fi news, stay tuned to Nerdmuch.com and our Twitter for timely updates.